Few things are more refreshing than a perfectly-chilled glass of wine in the summertime. Here in Italy, summer weather ranges from scorching hot to mildly warm, depending on where you live. For the most part, summer days are steamy, capped off by more pleasant evening temps once the sun goes down. As we’ve talked about before, there really is no “right” or “wrong” way to serve wine. The way you like it is the best way! But if you’re wondering how best to serve wine on a hot day, here are a few things to know. First and foremost, don’t limit your wine menu. Of course, white wines and rosés are summer favorites (and for good reason! ), but they’re not the only wines you can enjoy when it’s warm. In fact, well-chilled red wine is one of summer’s greatest pleasures; you can bet we don’t stop drinking red in Italy just because the season changes! Just stick to a lighter varietal like Pinot Noir that won’t weigh down your palette. Not feeling red? White wine was made for warm weather! Delicate, refreshing Pinot Grigio is a standout summertime wine, particularly if you can find a varietal with notes of apricot or other stone fruit. Summer is a wonderful time of year to try out a new white wine blend, especially when made from traditional warm-weather grapes like Pinot Grigio and/or Sauvignon Blanc. Be sure to chill the bottle in between pours to bring out the brightest notes in each glass. If you’re primarily a red wine drinker, rosé is a fantastic choice for summertime sipping. Rosé isn’t just delicious with notes of berries and flowers, but beautiful in the glass, too! Demi-sec rosé adds another layer of zing to each taste…bubbles are always refreshing. 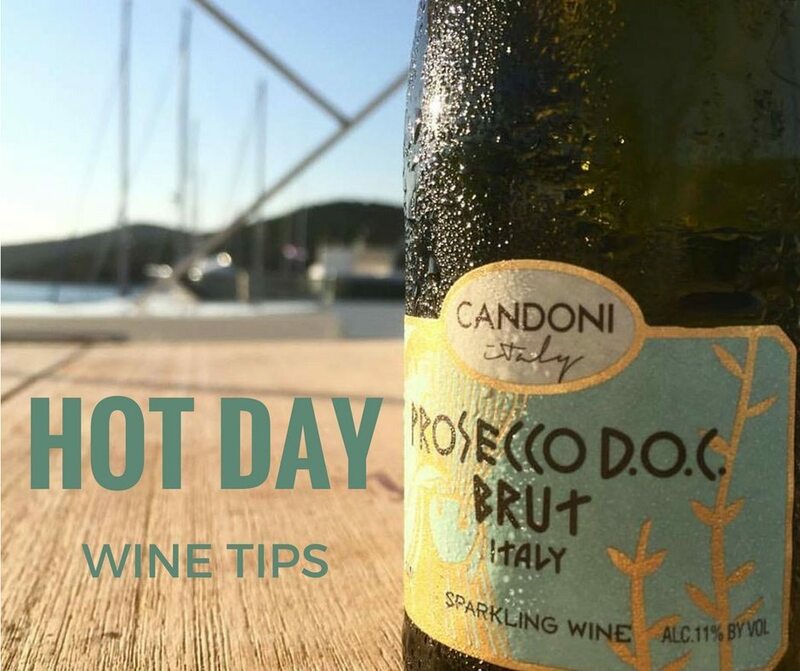 (Yes, well-chilled prosecco is ideal for hot weather!) And if you haven’t yet heard of “frosé,” you will soon. 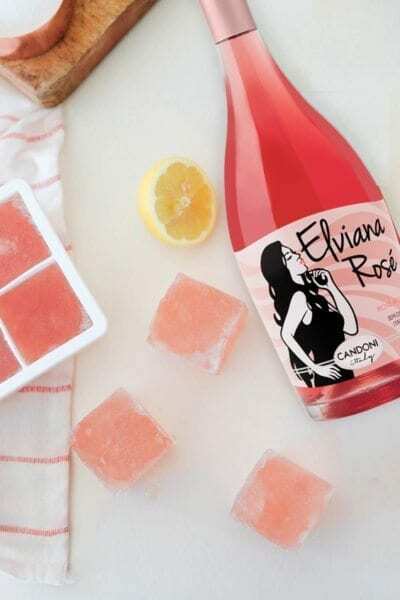 Rosé actually freezes beautifully in an ice cube tray. Add a little simple syrup and lemon juice before freezing for a little extra zing! then plunk a few frozen cubes directly into your glass. Stay cool, not watered down. Ready for red? Contrary to popular belief, red wine is best served a little chilled. If you don’t have time to chill your wine before you serve it, don’t panic – it will still be delicious, especially if you let it breathe. Red wine was perfected in the cellars of Europe, most of which averaged around 60-65 degrees Fahrenheit, so it makes sense that this is actually the optimal temperature to serve red wine. At this temp, reds will be sharp and fresh and you’ll be able to more fully taste all their notes. The good news is, it’s easy to quickly chill wine. Simply stick a room-temperature bottle in the refrigerator for 15-30 minutes before serving, or dunk in an ice water bath for 5-10 minutes if you can. No need to overchill your wine; too cold and it will lose its more delicate tasting notes. Be sure your glasses are clean and aren’t still warm from washing, too. 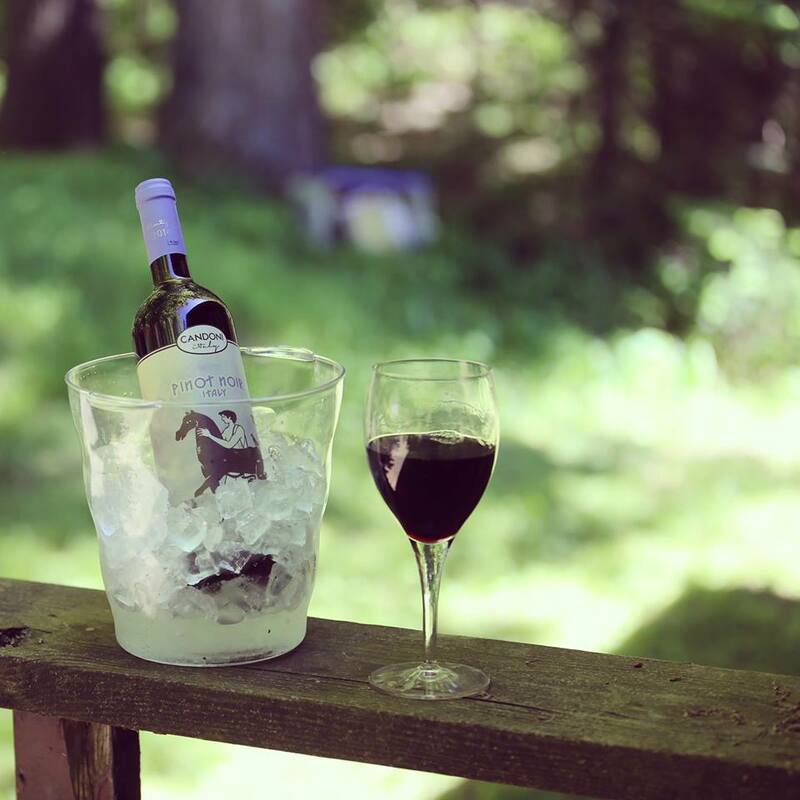 If you plan to enjoy wine in hot weather often, a small wine cooler can be a very handy investment indeed. What’s your favorite way to drink wine in the summertime? Whether you like your red in a cool tumbler or your rosé in popsicle form, there really is no one right way to enjoy a summer sip.